Lead-based paint is a grave health hazard for not only for homeowners, but also for those who are into home remodeling. If you live in a house that dates back to 1978 or before, you need to make your home free of lead-based paint. The federal government in 1978 banned the commercial use of lead-based paint, though some states had done so earlier. Lead-based paint – which includes lead-contaminated dust – is the leading cause of lead poisoning. Lead-based paint is known to have an unhealthy effect on children, especially those under the age of six years. 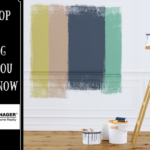 According to a declaration by the Environmental Protection Agency (EPA), lead-based paint ingestion can lead to severe learning disabilities, seizures, behavioral problem, and even death. In adults, lead poisoning can cause high blood pressure, and can negatively impact fetus development if women are exposed during pregnancy. Lead poisoning can also cause such acute conditions as renal failure and encephalopathy. Traditionally, lead-based paint was routinely used in the painting of home exteriors and interiors. And, the chances of lead-based paint being used increases as the age of your home increases. The Residential Lead-Based Paint Hazard Protection Act was passed by the U.S. Congress in 1992 (also called Title X) to safeguard families from lead exposure from paint, soil, and dust. The EPA, through the Renovation, Repair, and Painting (RRP) Rule, has also directed home remodeling contractors to help control exposure to lead paint. It is no doubt upsetting to find out that there is lead-based paint present in your home, but you can work to remove the problem. However, to solve the lead problem, you need to first get to the basics of the issue. And, to understand the basics, you have to know the facts about lead-based paint. There are millions of homes that still have lead-based paint present, as it typically has been painted over through the years by non-lead-based paint. 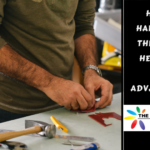 What you need to understand is if the paint is in perfect shape, you don’t have to worry much about the lead being present in your home. 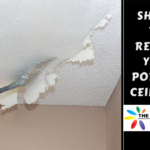 But, do keep in mind that when the lead-based paint starts chipping, peeling, cracking, chalking, or becomes damp or damaged, then the situation turns hazardous, and it becomes urgent for you to resolve the problem. 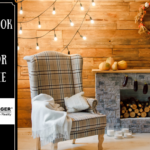 It is also a safety hazard if found on the surfaces, which your children can chew or those places where there is too much of wear and tear like doors and door frames, windows and window sills, and porches, stairs, and railings. 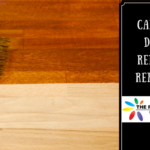 Clean up the dust regularly and make sure to keep the paint in good condition. Lead dust comes from the deteriorating lead based paint inside your home, or it can also come from the soil from outside your home, which of course is a result of the worsening exterior lead-based paint. During painting, repair, and renovation activities when paint surfaces are demolished or disturbed, it produces toxic lead dust. This is why you need to hire professionals to do the job. 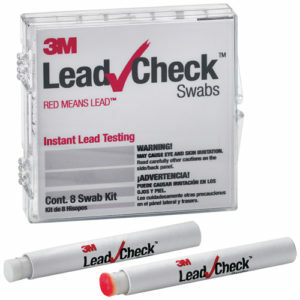 One way to find out is to use a home testing kit for lead. Though inexpensive and widely available, according to the EPA, they are not particularly accurate. Per EPA recommendations, you should look for a lead abatement company to perform the tests. 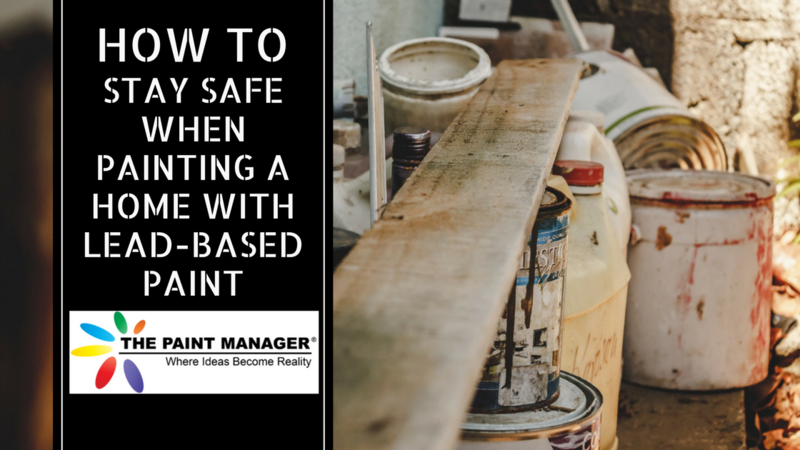 Repainting a lead-based home is a risky proposition, and you need to carefully follow all the guidelines to keep you and your family safe. 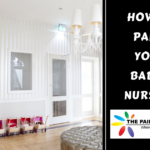 It is always advisable to hire a professional company to repaint your house if the test confirms that lead-based paint is present in your home. But, if you decide otherwise, there are ways to reduce the risks when repainting a lead-based home. Encapsulation is the most common and effective way of dealing with the problem – it keeps the paint intact and stable. Encapsulation, as the name suggests is applying a fresh coat of paint on the lead-based paint. This makes sure that the lead-based paint doesn’t find its way into your home. Make sure that you use a respirator when you are scraping the lead-based paint. 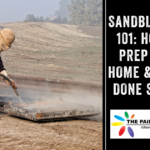 NEVER remove lead-based paint without a respirator. Use a vacuum cleaner with a HEPA filter for clean-ups. 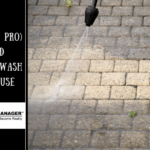 Spray adequate water on the surface you are working to keep the dust at bay. Put on safety gear before you start working on the lead-based paint. Make sure that you cover your eyes, hands, body, and head appropriately – use goggles, gloves, coverall, and hat to stay safe. Also, ensure that you use disposable gloves and coveralls and that you discard them every day. And, don’t forget to wash your goggles on a daily basis. Always remember to dispose of the lead-based paint surface at a safe location outside your house. Make sure that no one except for those working on the project enters the work area, and seal the non-work areas with plastic sheets. Making a home lead-based paint safe is a risky job. Those who have the required experience and expertise can better handle the safety concerns of lead. After all, there is no point in risking your life and that of your loved ones by adopting a DIY approach. 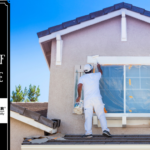 When you hire professionals to repaint a lead-based home, you can rest assured that they will take all the necessary precautions as mandated by the rule of law. Professionals are not just trained to do their job with perfection, but they also have all the resources (protective gear and tools) to carry out the work safely. They would also make sure that you stay safe while they work. When you hire professionals, you don’t have to worry about toxic waste disposal. Lead disposal is a risky job. They know how, where and when to safely dispose of the lead-based waste. 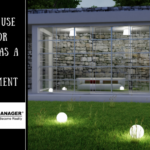 The Paint Manager is experienced in making Central Florida homes safe from the hazards of lead paint. We are a full-service painting company in Orlando delivering quality work to residential and commercial customers. Call us today to schedule an appointment.